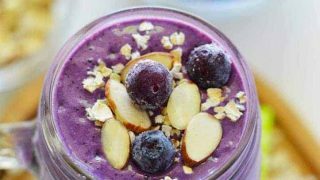 These Blueberry Almond Oatmeal Smoothies make a quick, filling, and satisfying breakfast. They’re full of fruit, fiber, and packed with protein so they’ll keep you full for hours. You guys. 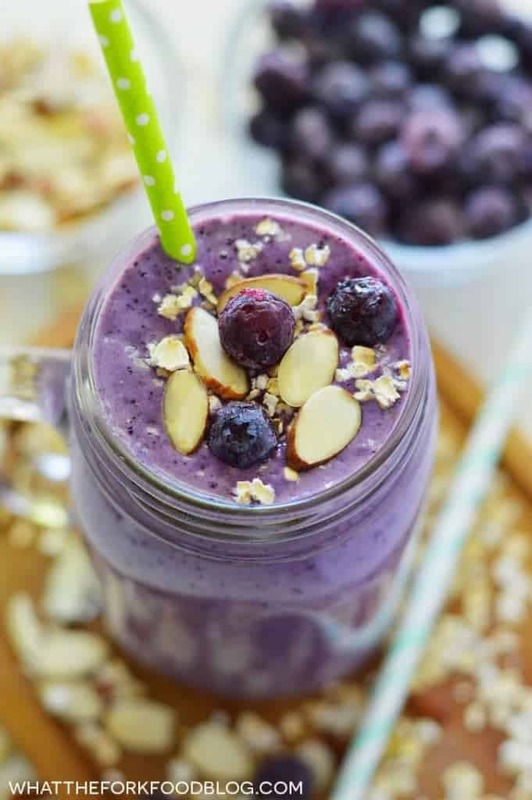 These blueberry almond oatmeal smoothies might just be my new favorite smoothie. Crazy, since they don’t include chocolate OR peanut butter. They’re just that good. I’m a big fan of the blueberry almond combo, as witnessed by my blueberry crumb muffins, blueberry almond muffins, blueberry coffee cake, AND grain free blueberry muffins. I just can’t get enough of that flavor combo! These smoothies have 10 grams of protein per serving, which is a lot for a smoothie that doesn’t contain any protein powder. 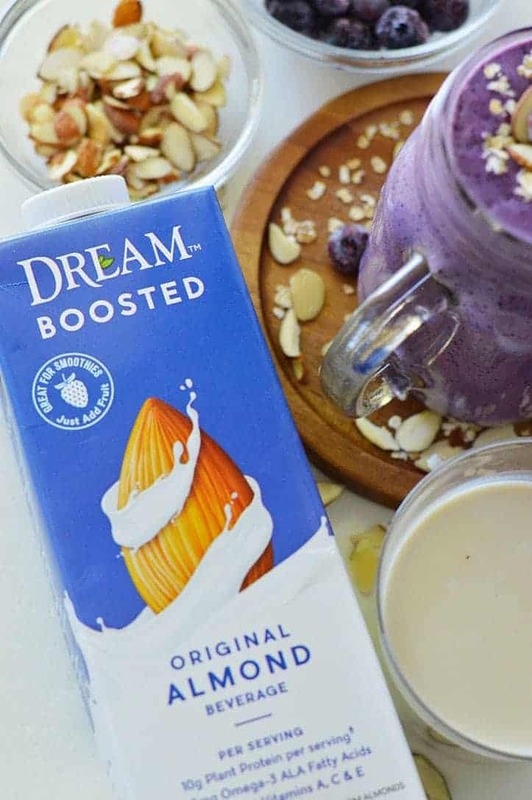 That’s right, all the protein is plant-based protein from Dream Boosted Almond or Coconut beverage; which is a superfood nut-based beverage that’s also dairy-free, lactose-free, and gluten-free. In this smoothie, I used Dream Boosted Almond beverage but it’s also available in coconut (both can be found at Whole Foods and will soon be in Sprouts Farmers Market Stores). Not only does each serving contain 10g of protein, it’s also got 1300mg of omega 3-ALA fatty acids plus antioxidant vitamins A, C and E. Fantastic way to start your day ???? As I mentioned before, blueberry and almond is like my love language. I give these smoothies a an extra boost of almond flavor with some almond extract. I use a ¼ tsp in the recipe but you can use less or even omit it if you’re not in love with almond extract like I am. Just don’t use more! If you use too much almond extract, they’ll end up with a bitter taste and you’ll essentially ruin your perfectly good smoothie. And you don’t want that to happen. So be sure to measure it correctly and don’t just pour it in. Another thing I love about this smoothie, aside from the taste, is that color! G-O- R-G- E-O- U-S. I shared a picture of it on Instagram a while back it I seriously couldn’t stop staring at that pretty purple hue. If I had an office, I would have that as an accent color everywhere and just stare at it all day long. Who needs to work when you have pretty purple smoothies? Also, I should mention the one con to these smoothies. You’ll eventually get to the bottom of the glass and be super sad when your smoothie is gone. Enjoy! PS looking for more oatmeal smoothies to try? Check out my Chocolate Peanut Butter Oatmeal Smoothies, Peanut Butter Banana Oatmeal Smoothies, Pumpkin Pie Oatmeal Smoothies, or my Strawberry Banana Oatmeal Smoothies. All of them would work perfectly with Dream Boosted Almond or Coconut! 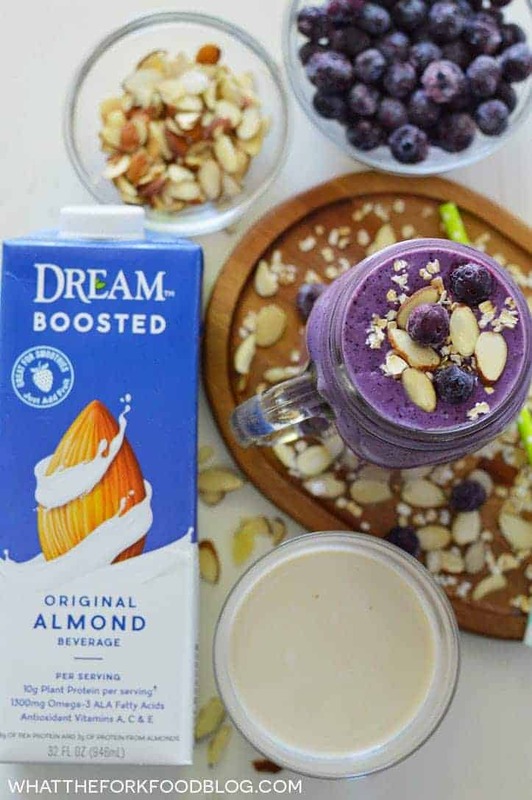 PSS be sure to visit Dream Boosted Almond beverage for a money saving coupon! 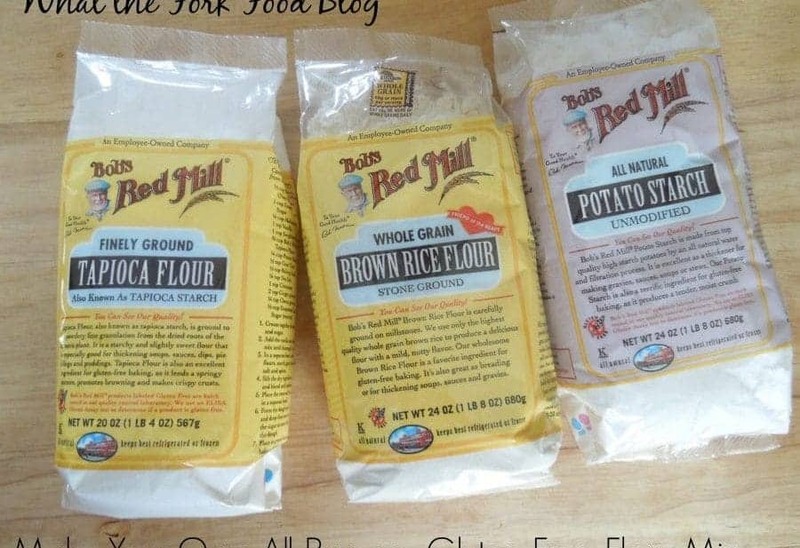 Add the gluten free oats to a blender canister and blend until they become a fine powder. Add the almond milk beverage, honey, vanilla, almond extract, banana, and blueberries. Blend for 1 minute or until completely smooth. Serve immediately or let it sit for a bit. The smoothie will thicken up a bit from the oats when it sits for a while. I use frozen fruit so I don’t water my smoothies down with ice. If you can’t have banana, you can use ½ c frozen sliced zucchini – peeling it is optional. I’ve never seen these boosted nut milks- I’ll be on the hunt now! Can’t wait to try your smoothie recipe, too! I’ve never heard of this brand before. Thanks for the recommendation. I would have never thought to put oatmeal in my smoothie. Love this! Oh, I just love this smoothie! And it is a gorgeous purple color! 🙂 I will have to look for this Dream Boosted soon. Looks like a perfect way to start the day off! This is gorgeous! I’m really loving the DREAM product, too! 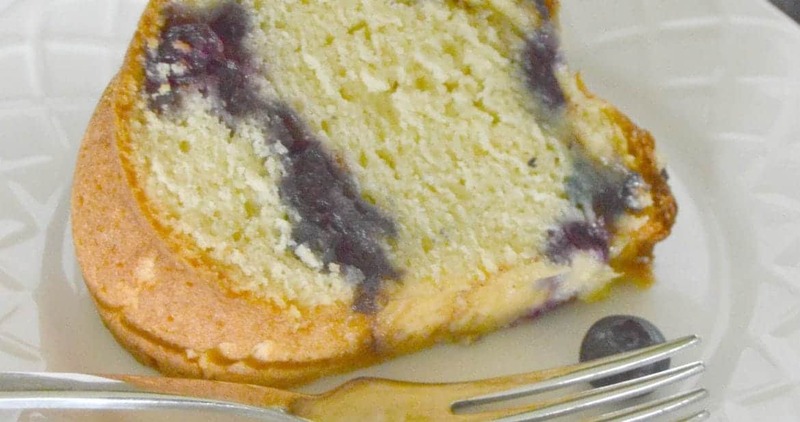 Love the blueberry-almond combo! I need to make one of these for my son when he gets home from college! He is a huge smoothie fan and an athlete so he’d love all that protein. Looks wonderful! 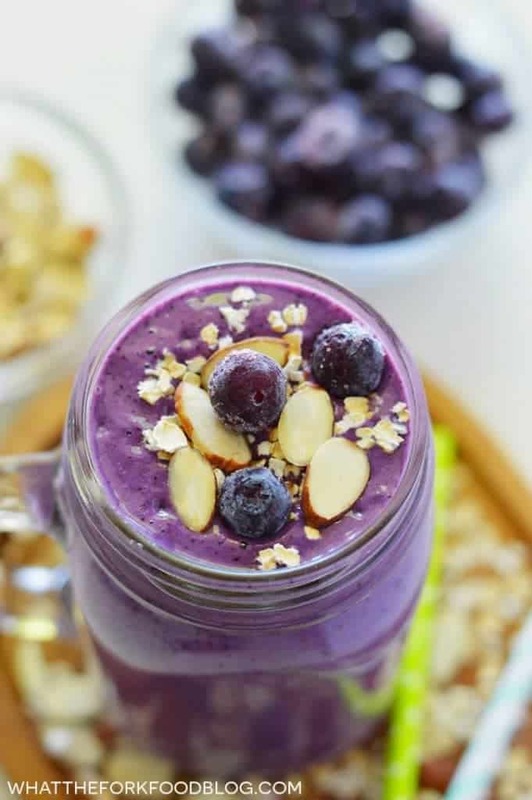 I think that blueberry smoothies are just always so gorgeous! I wish that I has started my morning with this! 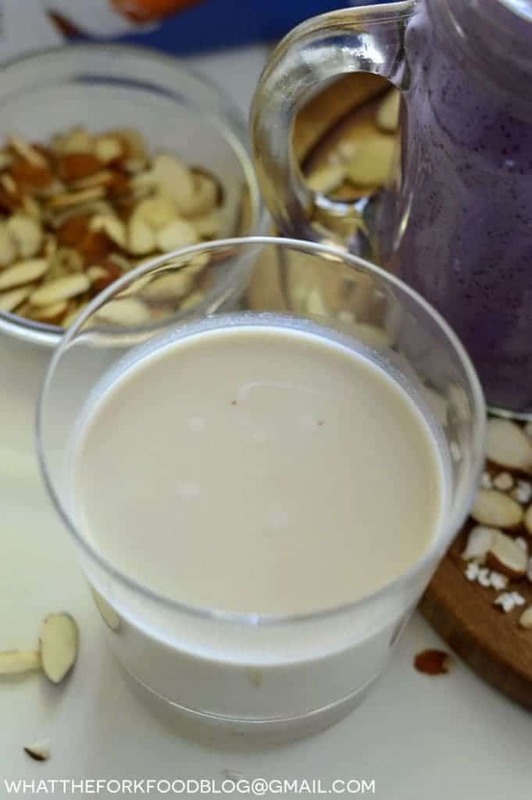 I love Dream almond milk….it is such a staple in our refrigerator. This looks fantastic. The color is amazing and I love how thick and filling it must be! What a great way to start any day! 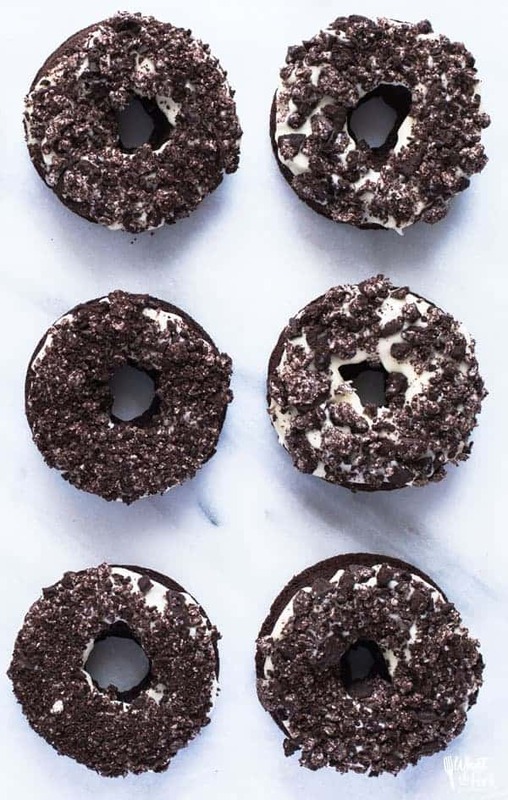 This looks so good, about to make these tmw for breakfast, question could I use Kalifa Vanilla Almond Milk? I tend to love it more than others.. I’m pumped so hungry already at 3:am! This sounds really good. It’s my first time on your blog so I feel silly asking, but I don’t see an actual recipe for the smoothie, though its name implies the ingredients and I saw what you wrote about the almond milk. Would you please direct me to the full recipe? Thanks. This is the third recipe of yours that I tried. I love that they are so easy and quick. Your smoothie recipes especially are tasty and healthy. Perfect for a hot NY dinner when I don’t feel like turning on the stove.